Crinkle Pom Pom Trim Maxi is rated 4.0 out of 5 by 1. 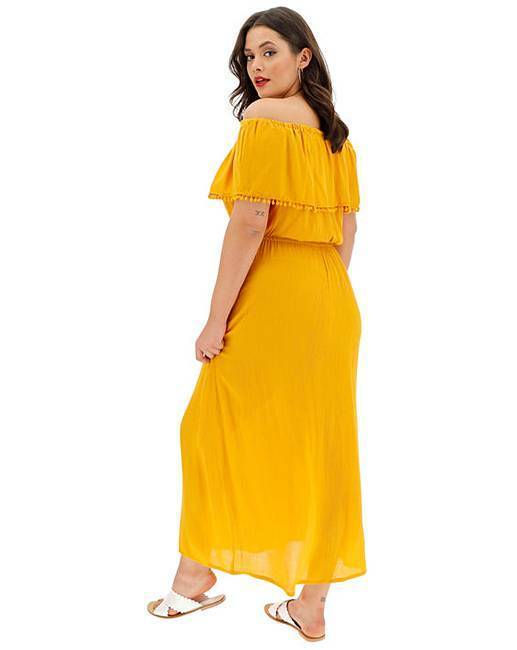 An addition to your summer wardrobe the crinkle maxi dress has been updated for SS19. 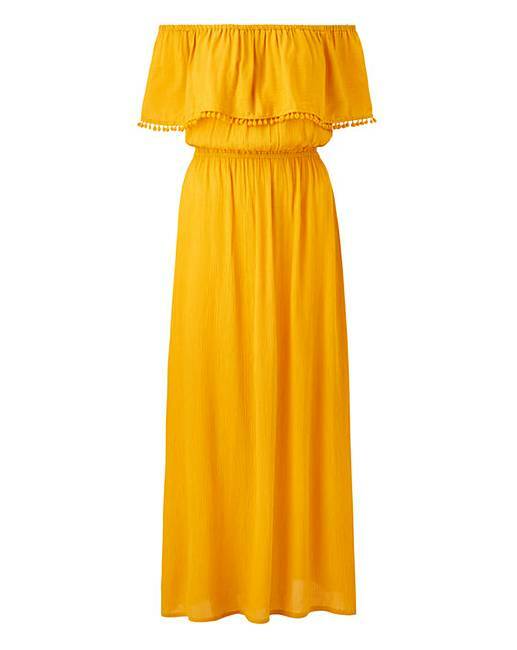 Made from a delightful, lightweight material and featuring a tie back, pompom trim detail at the sleeves, this dress is perfect for a versatile summer look from day to evening. The gathered waistband cinches the waist, accentuating your curves and creates the illusion of the perfect hourglass figure, meanwhile the stunning saffron shade promises to warm up your complexion.